Millions of children across the country participate in youth sports. 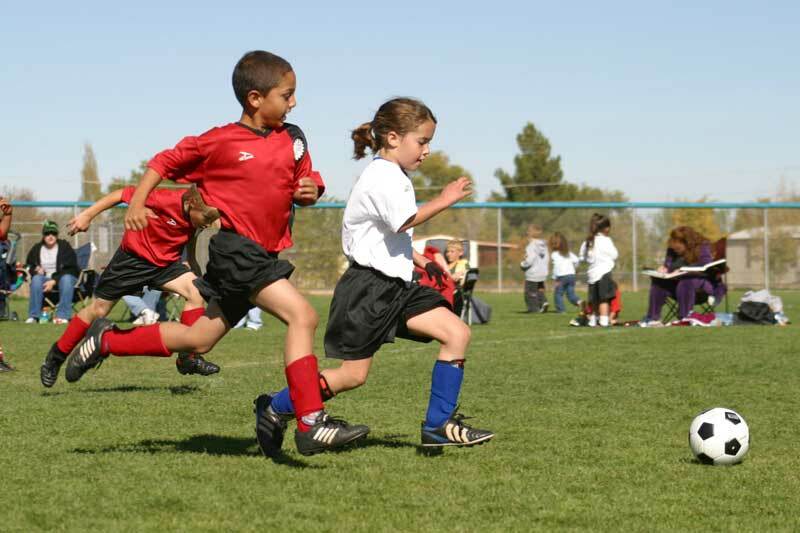 It’s not unusual for children to start participating in youth sports as early as four to five years of age. And, while there are lots of potential benefits associated with participation in youth sports, it’s critically important that parents and coaches make it a positive experience — at home, and at all practices and games. Focus on development of physical skills, not winning and losing. This is the time to emphasize sport-specific skill development (for example, ball-handling and shooting for basketball players), as well as the development of strength, speed, agility, coordination, and endurance. Be willing to allow victory and defeat to be a by-product of the process, and not the primary focus. Encourage them. Kids learn by what we say, but even more so by what we do. Be positive and encouraging. A word of encouragement in a difficult situation goes a long way with a child. Also, be aware of how you act, interact, and react with your team, other parents, opposing coaches and teams, and officials. As an adult and authority figure, your words and actions will be interpreted as “situationally appropriate” by children watching you and, ultimately, learning from you. Make it fun. Children should enjoy their participation in sports. It’s okay to smile. Maintain a pleasant demeanor and don’t raise your voice in anger or to criticize; only to praise, encourage, or to be heard while providing direction. Should Kids Play One Sport Year-Round? Do you think it’s a good idea for a young athlete (8-12 years old) to play one sport year-round? Would you allow your child? Sport specialization, especially at a young age, is more popular/prevalent today than ever before. Certainly, there are more opportunities for sport specialization — AAU basketball, JO volleyball, club soccer — than existed in past decades. But, opportunity aside, I’m not sure it’s always the kids deciding to focus on a single sport at the expense of other sports and activities. 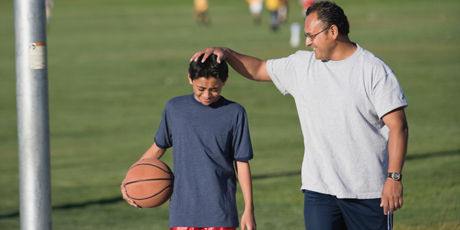 Coaches and parents put a lot of pressure on kids to concentrate on one sport, 24-7-365. Playing multiple sports and activities helps kids develop cross-functional skills that can improve overall athletic aptitude and performance. Conversely, intense training in a single sport before adolescence can lead to injuries, according to a review in the journal Sports Health. Young athletes who play one sport all year typically experience more stress-related injuries, as a result of repetitive overuse without appropriate rest and recovery time. Expose your child to other sports and activities, and encourage participation in unstructured activities (pick-up games, for example). Encourage effort — and not only performance — especially when they are young. If the decision to play a sport, year-round, is the desire of the child (and not just the coach and/or parent), and if the coach builds in regular breaks to allow for adequate rest and recovery… let him or her give it a try. There are lots of articles about parents of youth (and older) athletes, many of them – including one or two from yours truly – critical of the way these folks conduct themselves and ruin the experience for their kids. Throughout my life, I haven’t played a crazy amount of sports; however, sports have filled my life, and no matter the sport, my parents have always been there for me as my number one fans. The first sport I ever played was soccer. My dad was actually the assistant coach for a couple years, and I played that all the way through seventh grade. The next sport I started to play was football, and that was only for fourth grade. I started to play basketball the next year all the way up until ninth grade. The only sports that I played in high school were track and cross country of which my parents supported me the most by going to almost all of my meets no matter where they were. Some people think that sometimes parents can ruin the sport that a child loves, but I’m here to show you five ways that the parents make the sport that much better. My parents wanted nothing more than me to succeed in every aspect of sports, this was also the case with my brother who played sports in high school and my sister who played in high school and college. My dad once bet me a Nintendo DS that I wouldn’t get in the top 20 of a cross country race, I got 16th that week. Hitting that game winning shot or maybe anchoring the swimming relay to the state championship is always a great feeling, and celebrating it with your teammates is amazing — but being able to celebrate it with your parents is ten times better. My mother never played any sports, but my father ran cross country and also played basketball. Having my dad already played the sports helped me out so much in terms of knowing what to expect. It’s hard to know what to expect for a mile race when you’ve never really run in your life. My dad knew what it felt like to have a bad race, and he knew the right things to say to cheer me up. My dad and I have a lot in common but me running cross country and distance in track and field was yet another way that we could bond, and we did a lot of it. Having similar interests is always a good way to get closer with someone. You’ll strive to be like them with your kids. My dad always tells me how his parents never saw him run during his cross country and track and field days. This made me sad knowing he never had the support system that my siblings and I had. Whenever I have children, they won’t be forced to play sports, but if they do, I will be their biggest fan. What is the Goal of Youth Sports? Recently, I was talking with an old friend of mine, whose daughter is a high school freshman preparing for her first high school basketball season. She is also a talented pitcher, and aspires to play high school softball. He continued to tell me how the high school basketball coach is encouraging his daughter to play both sports, while the softball coach is pressuring her to quit basketball and concentrate only on softball. Keep in mind, this young lady has not yet set foot on a high school basketball court or softball field. 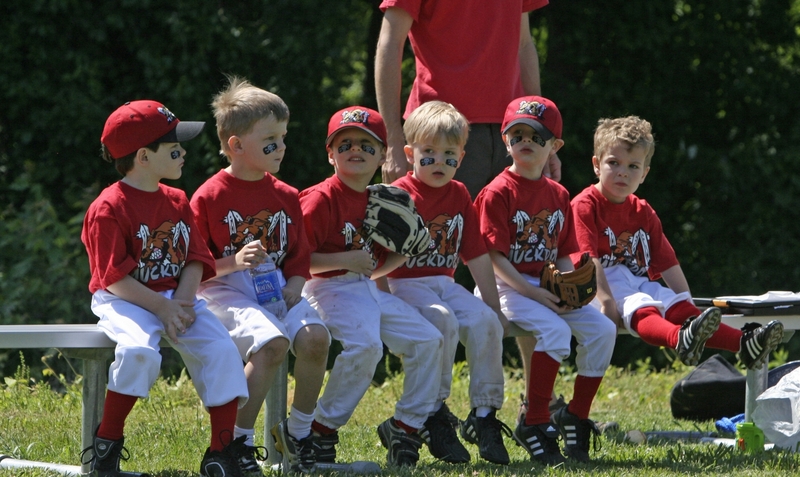 Last month, I posted a blog titled, Are Parents Ruining Youth Sports? While this is not meant to be an indictment of all youth sports coaches, I guess — in some cases — you can probably add coaches to that list. For years, I’ve watched youth sports coaches play a limited group of players — leaving several players on the bench for most/all of the game — in the interest of winning. It seems to me that the goal should be player development, especially at the lower levels. That and encouraging young players’ love for the game. The best youth leagues are the ones that mandate fair (and not necessarily equal) playing time for every child. 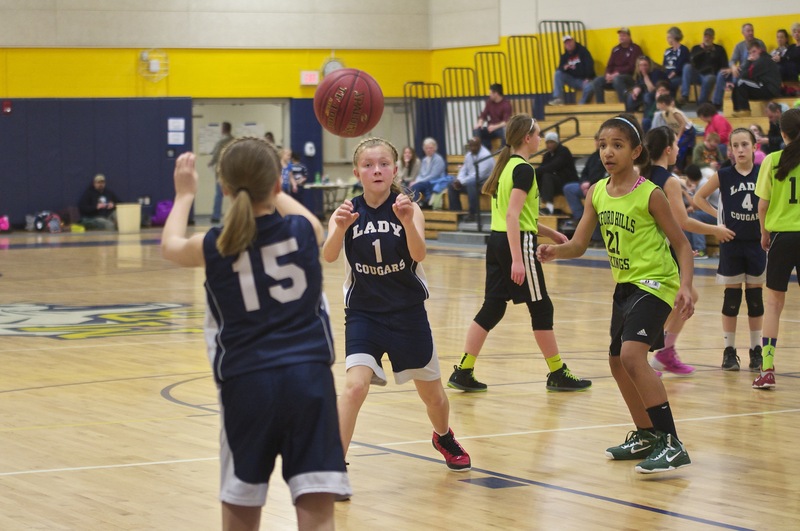 Kids grow and develop differently, and there’s no guarantee that the best 9 or 10 year-old athletes will grow up to be capable high school players. Even in high school, how does it benefit a basketball program when the freshman coach only plays 6 or 7 kids? What does it really mean if the middle school team goes undefeated? Some youth coaches put a lot of pressure on kids to specialize in one sport — and play it year-round — at a very young age. They try to sell the athlete and the parents on the value of concentrating on one sport in the interest of high school stardom and a college scholarship. In reality, only a portion of youth athletes go on to become “elite” high school athletes, and only a fraction of those players eventually earn athletic scholarships (see The Race to Nowhere In Youth Sports). Ultimately, Youth Sports Should Focus on FUNdamentals and Developing Athleticism in Youth Athletes. 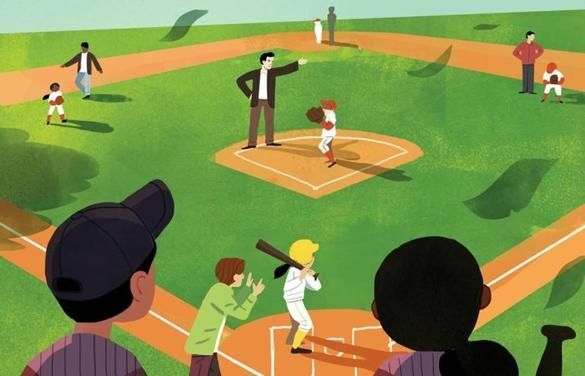 Too often, parents and coaches are chasing their own aspirations and dreams instead of helping their children and players explore their interests and passions. Youth sports coaches and programs should focus not only on creating better athletes, but also better people. There are lots of valuable life lessons that can be learned through participation in sports. Do your “homework” when it comes to choosing a sports coach, team, or organization for your child. You can’t always be selective, especially as it relates to in-school sports, but you have much more latitude when selecting the appropriate club or travel team for your child.